This statistic represents the number of cars sold by leading passenger car brands in Italy between 2015 and 2017. According to data, all the car producers experienced sales increase. The Italian car manufacturer Fiat is leading in terms of sales the market, with a positive trend passing from 385,798 units sold in 2016 to 402,355 units sold in 2017. 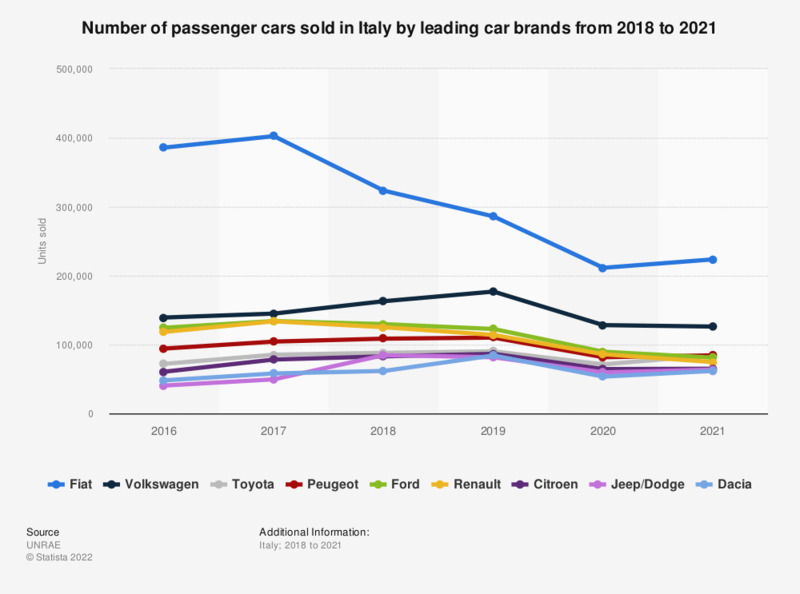 Companies such as Volkswagen, Renault and Ford are following the Italian brand with more than 100,000 units sold in 2017.